Have you got your own hair extensions? Are they clip-in hair extensions, or tape in hair extensions, or micro loop hair extensions, or fusion hair extensions, or weave hair extensions, or the several kinds of hair extensions? After wearing your extensions a matter of time, whether you want to change again, but don’t want to spend extra money to purchase new and different hair extensions. Maybe changing the color of your own hair extensions is an alternative. That you need to color your own hair extensions. It is possible, especially for the human hair extensions. Let’s see! There are some differences between coloring your own natural hair and coloring hair extensions. Several factors lead to that. For example, usually color on extension hair(human hair extensions are taken as the example in the whole text.) dyes a full tone/shade more deeply than the natural hair. So stylists unfamiliar with the rule can really damage your extensions. And they don’t know how to color them. Following we will get the professional coloring tips from an expert. You can share with your stylist to have your various hair and looks. Of course, you can just keep for yourself. You can color your own hair extensions by yourself. When applying color to your own hair extensions, which usually tends to end up a ½ to 1 shade darker than the color you are depositing, you can formulate color 1 shade lighter than your target level first. For instance, desire Level 7 = Formulate Level 8, use a 15 volume instead of a 10. If you use a color line that offers a clear color, formulate ¼ of the mixture with clear color to make the extensions’ color more shiny. This will also prevent the color from dying too dark. So to reach the desired color level. The expert has been working with hair for over15 years. “Generally, I try to avoid lightening hair all together, but when I absolutely have to do it, I try to only use a 10-volume bleach so that I can preserve the integrity of the hair. Bur 20-volume bleach would be the most excellent max for lightening hair extensions, which I would only recommend. Because high quality hair extensions, like remy human hair, virgin human hair, can be healthier and stronger than a client’s natural hair, and the bleach won’t damage it as much as their natural hair. However, if there is alternative, I still try to avoid it as much as I can, because I always want to keep my client’s hair extensions healthy!” he says. 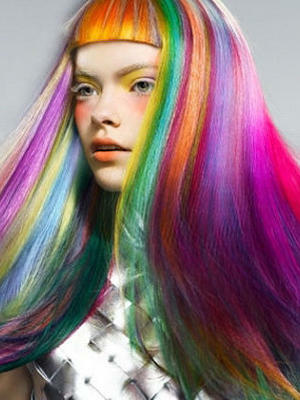 The specific dying process of hair extension is the same with coloring your own hair. We will not cost time to describe them. But you should keep the two tips in mind when you color the hair extensions. Different colors, different experience, different you, different charm, different daily lives. In addition, coloring and lightening your hair extensions are OK. 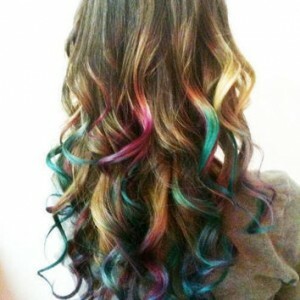 But the expert would recommend that you should keep the color of your hair extensions be the same with your own hair. Such your extensions will match with your own hair most naturally! May you have a nice experience!